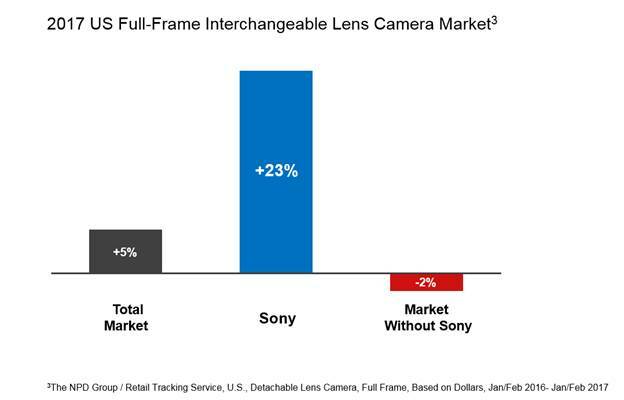 “Sure,” I replied and this week Sony overtook Nikon in US sales of Interchangeable Lens Cameras after remarkable growth; including, 23% in the past year. That was a good tip from David and it’s been a pleasure to cover Sony for the past four years—here’s Bike Hugger’s first post written by him. And, launch a blog about their cameras, followed by another covering the overall mirrorless market. Will Sony reach number one? Maybe, if Canon doesn’t switch their tech up soon. Most of the photos taken by me in the past 4 years have been with different Sony cameras. Here’s my first review of the a7R. The thoughtfulness comes from composing the shot, getting it focused (the A7R uses contrast instead of phase detect focus, read more about that topic here), reducing or increasing the exposure, holding the camera steady, and snap with the loud scheelunk sound. Sony’s announcement is based on numbers from the retail analysis firm NPD Group citing U.S dollars spent from January through February 2017. The statement also says that the increase in demand for Sony’s products has grown the overall full-frame ILC market by 5% and would have, according to the statement, declined instead by 2% in the same period. Sony attributes the sales numbers in part to the popular a7RII and a7SII cameras. The report doesn’t specifically say who Sony bumped, but it’s Canon or Nikon and the latter has reported financial struggles. It is important to note that this the report is based on U.S. Dollars, not Unit Sales and Sony have released no data about unit sales figures for the same period. The full statement from Sony is below.